Rotana Hotels has announced the appointment of Irfan El Hamad as the new director of sales (Travel & Trade) of Rotana Hotels, suites & resorts for UAE.El Hamad, Syrian origin has Diploma in Hotel Management & Tourism from Syria & Dubai, and has been associated with International Hotel chains for the past 10 years. He has held an executive posts with Le Meridien hotels in the GCC. Ehab El Gammal has been appointed Director of sales and marketing for the Sheraton Sana’a Hotel. 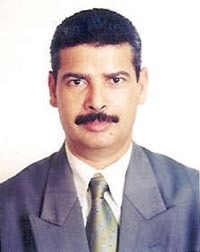 El Gammal was the former director of sales and marketing to Sheraton Dammam Hotel & Towers in KSA and began his hotel business career 13 years ago at El Gezirah Sheraton Hotel, Towers & Casino. Dubai-based Lloyd Kenyon has joined the sales team of Arabian Travel Market - the Middle East’s foremost travel and tourism exhibition - in a move which mirrors the growth of the annual show. Twenty-five year-old Kenyon joins the team as sales manager working out of Dubai and covering the entire Middle East. A Tunisian national, Mohamed ElKahla has moved ranks within the sales and marketing team of the Taj Palace Hotel Dubai when appointed beginning in January as Assistant director of sales and marketing.